The developer build of Google’s Chrome OS is now up for downloads. with Google explaining that development will be done for this large piece of software in the open from this week on. The Chromium OS project includes Google’s current code base, user interface experiments and some initial designs for ongoing development. Have a working copy of VMware Player (VMware Fusion for Macs) or VirtualBox. Do note that the image is meant for VMware so if you use VirtualBox, cross your fingers. With some luck, you should get it up and running in no time. 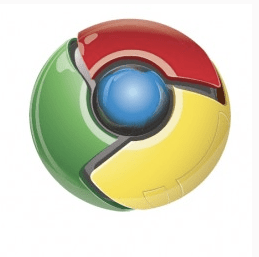 The username and password to login to Chrome OS / Chromium OS is your google account! Make sure your VM is set to use bridged networking, rather than NAT. Google Chrome OS (GCOS) is exactly what we thought. An operating system that only consists of a web browser and can only run web apps. It is not meant to replace your phone or your main PC. It is a secondary device, even though it may be the one you use most. Everything runs in the Google Chrome Browser (GCB). They use small windows (like pop-ups) called “panes” to allow you to run something like a notepad or music player in the background. Printing will be handled using an “innovative new concept” but Google are not ready to disclose that info yet. Google are trying to get OEMs to make netbooks with larger, high quality screens with a full size keyboard and decent trackpad. It will only run on specific referenced hardware that Google will allow OEMs to use, e.g. it must be installed on a solid state disk (flash memory) – no hard disks allowed! i have tested chrome os both at home and at work, it does not seem to be better than ubuntu`”.